Friday night at the movies! 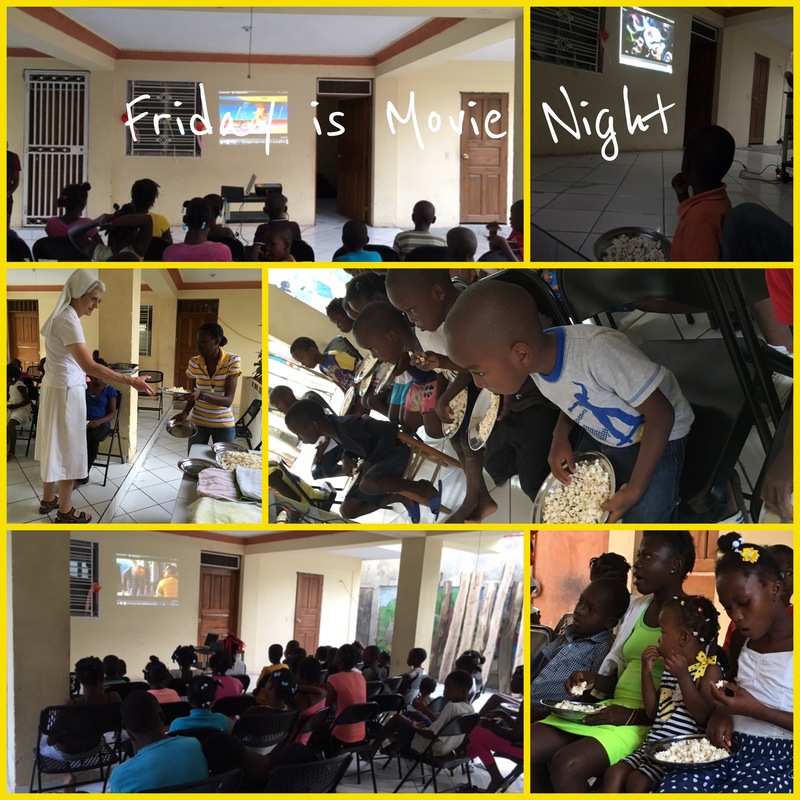 Every Friday evening at 5 p.m., our kids know that it is movie night. It is just like being in the theater with popcorn and candy and clean, filtered water for drinking. We thank you for your donations that make it possible for us to have a movie, complete with popcorn and candy. Praise the Lord! They love comedies and animation! They are dubbed in French.